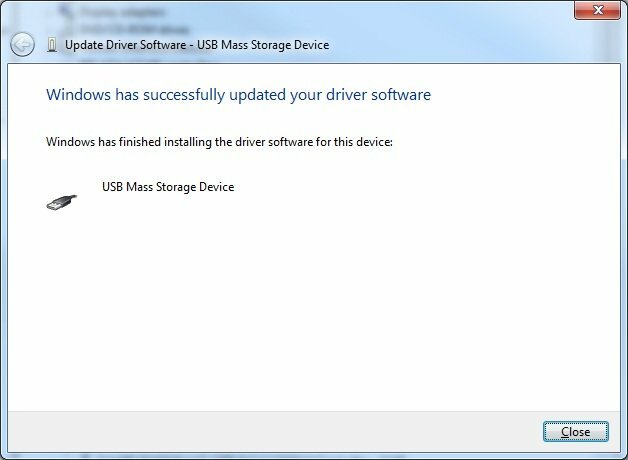 I’ve been having a problem with my iPod where it would not load the proper drivers in my Windows7 64-bit desktop. It worked for a long time, then suddenly it didn’t. 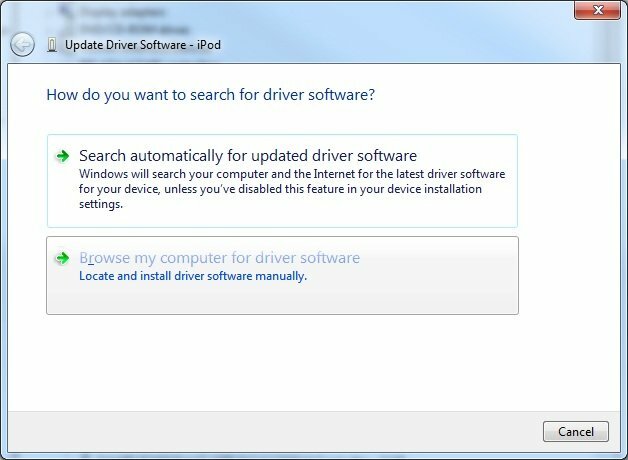 I found links at apple.com and other places of things to try but nothing did – until a thumbs drive also would not load drivers and while fixing that I fixed the iPod driver. This is could happen with any USB storage device (iPhone, iPad, thumbdrive, external USB drive) – which also happens to be one of the functions of the iPod. 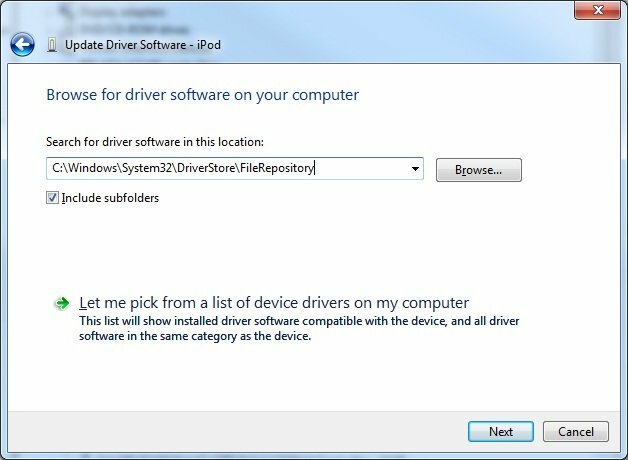 And point the directory to “C:WindowsSystem32DriverStoreFileRepository” and enable “Include subfolders” in the Browse window. Copy the usbstor.inf and usbstor.pnf files to C:Windowsinf. With any luck your device will then appear. This entry was posted in Computing, Storage and tagged apple, driver, error, ipad, iphone, ipod, load, repair, troubleshooting, Windows. Bookmark the permalink.